ANNE ZAHALKA's online project Nobody Loves You More Than Me: Finding Margarete has been reviewed by Art Guide. Zahalka's project is an interactive text based documentary, produced by SBS Australia, which explores the story of Anne Zahalka's grandmother, Margarete Back, who disappeared during World War Two. Nobody Loves You More Than Me: Finding Margarete can be found online at SBS at this link. Read Art Guide’s review here. ANNE ZAHALKA's iconic work The Bathers is currently on view at the Monash Gallery of Art in Legacy. Your Collection. Our Story. LEGACY teases out the fascinating and compelling stories behind the MGA's collection and their donors, and showcases significant works that chart the history of MGA. The exhibition continues until 22 July. Anne Zahalka, The Bathers, 1989, from the series Bondi: Playground of the Pacific, chromogenic print, 95 x 112cm. SBS shares the untold story from ANNE ZAHALKA in Nobody Loves You More Than Me: Finding Margarete. Nobody Loves You More Than Me: Finding Margarete is a new interactive text based documentary produced by SBS Australia, which explores the story of Anne Zahalka's grandmother, Margarete Back, who disappeared during World War Two. As next year marks the 80th anniversary of the start of WWII, this new interactive text based documentary offers a unique perspective on those who lived and those who lost loved ones during Hitler’s reign. ANNE ZAHALKA, Nobody Loves You More Than Me: Finding Margarete, 2018. Anne Zahalka, Leisureland series, installation view, 2018. The group exhibition, Incommensurable, featuring ANNE ZAHALKA's Leisureland series has been reviewed in the press. The Canberra Times review here. The exhibition continues at ANU Drill Hall, Canberra until 8 April 2018. 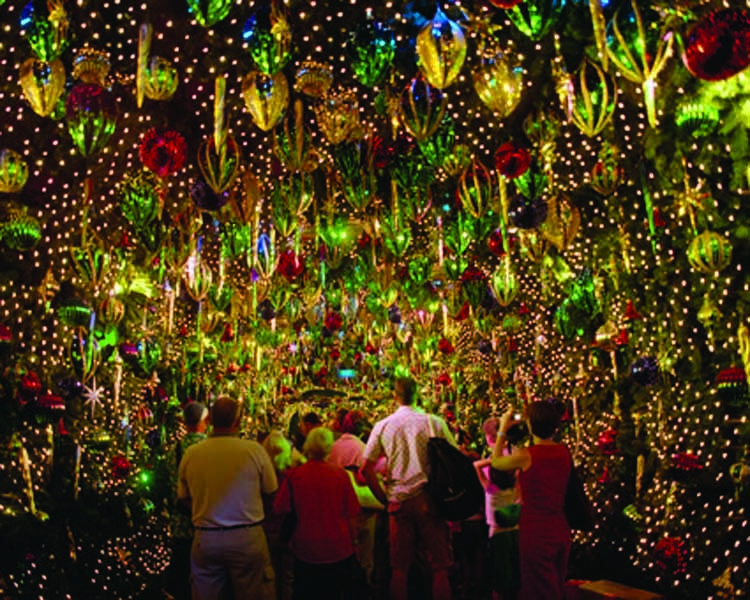 Anne Zahalka, Santa’s Kingdom Christmas Tunnel, Fox Studios, Sydney, 2004, light-jet print, Type C, 115 x 145 cm. ANNE ZAHALKA is included in Incommensurable, a group exhibition at Drill Hall Gallery in Canberra. The show looks at photo media in the era of globalisation and includes a selection of works from Anne's Leisureland and Natural Wonders series. Incommensurable will be on view from 22 February until 8 April. The artists will be in conversation with exhibition curator Terence Maloon Friday 23 February at 12 noon. Anne Zahalka, 'Untitled (Road to Zagora)', 2015, archival pigment print on rag paper, 66.6 x 100cm. Architecture AU features ANNE ZAHALKA in their recent article on the Centre for Contemporary Photography's 30th Anniversary Fundraiser. Written by Louisa Wright, the article interviews ANNE ZAHALKA about her experience as a photographic artist who has exhibited at the Centre for Contemporary Photography.